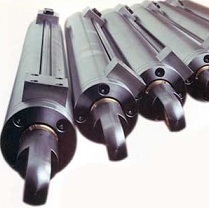 Monashee manufactures custom built Hydraulic Cylinders up to 12″ bore to the specific requirements of the customer. Our welding capabilities are CWB approved, and our Quality Management System is certified to ISO 9001 standards. All new cylinders are fully tested in our Hydraulic Test Bench prior to leaving the shop, and carry a full one year conditional warranty. Monashee also offers complete repair and rebuilding services for all makes, models and sizes of Hydraulic Cylinders from 1″ bore right up to 12″ bore. 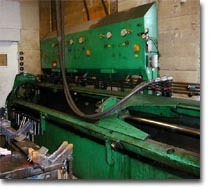 All repaired cylinders are fully tested prior to leaving our shop. Larger cylinders and tube replacements can be tested for leaks, extension and proper operation in our Hydraulic Test Bench. Our Hydraulic Test Bench is capable of testing Hydraulic Cylinders up to 20′ in length. This allows us to ensure there are no leaks or other problems with the cylinder prior to the cylinder leaving our shop and being reinstalled in the field.